During this season of fall, spend some time in nature praying and taking in God's beauty. remind us of the wonder of your creation. remind us that it is you who give us the breath of life. 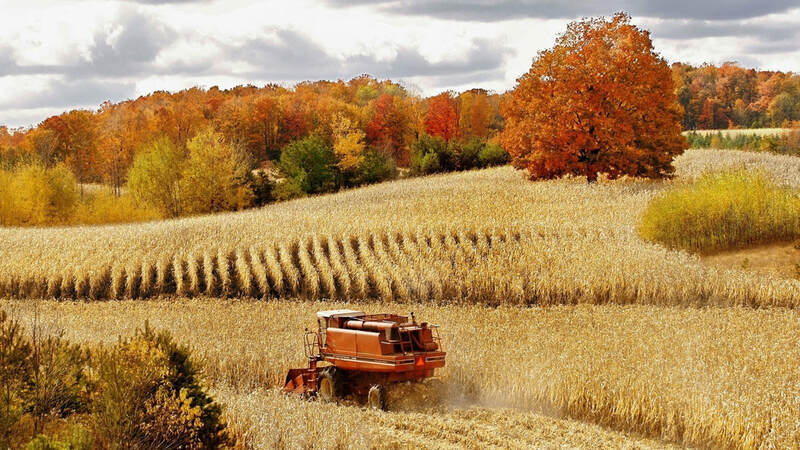 May the harvest from the fields remind us of the abundance we have been given and bounty we are to share with others. May the dying of summer’s spirit remind us of your great promise that death is temporary and life is eternal. On October 4th we celebrate the feast of St. Francis of Assisi, a very popular and very important Saint in our Church. The following are resources to help you look at our world with the lens of St. Francis. Being good stewards of God's creation is foundation to who we are as Catholics. During this beautiful time of year, take some time to learn about how we can live like Francis and care for God's creation. Check out this website to see more way that you can get involved in environmental initiative as a Catholic!